Brand: Nordicware NW-45339 Units: 1 set / 3 pcs. total From Nordic Ware. The beautiful, heavy mini jelly roll pan has a 11 1/2" x 8" base and 1" slanted sides. The cake pan is 13" x 9". The set contains a decorative plastic storage lid that fits either pan. Pans are made of natural aluminum for even baking with a lifetime warranty. From Nordic Ware. The beautiful, heavy mini jelly roll pan has a 11 1/2" x 8" base and 1" slanted sides. The cake pan is 13" x 9". 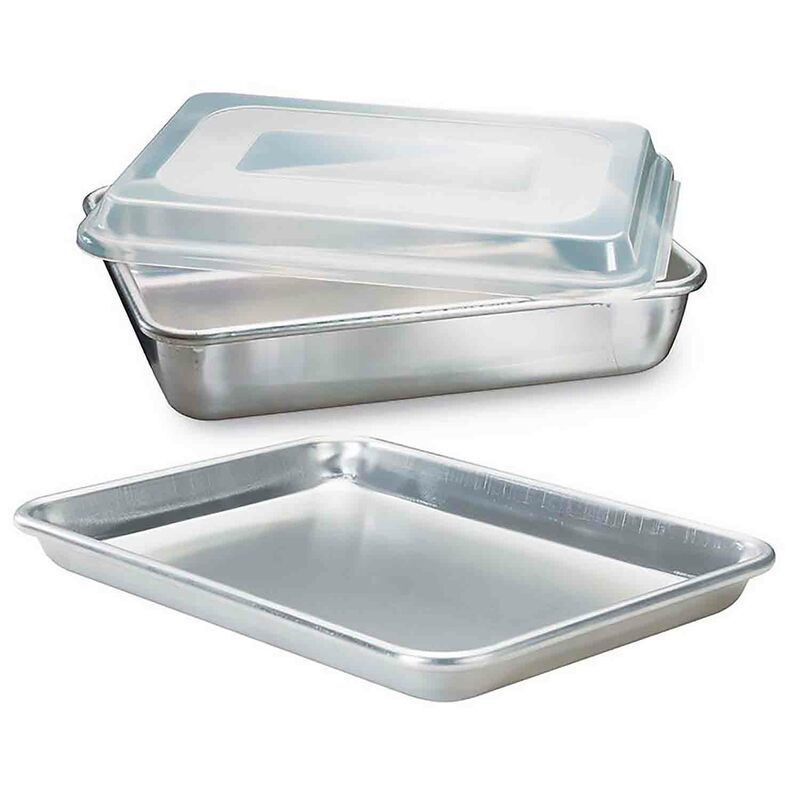 The set contains a decorative plastic storage lid that fits either pan. Pans are made of natural aluminum for even baking with a lifetime warranty.